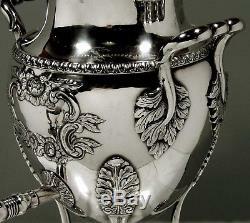 WARNER SILVER TEA KETTLE " TEA SET " c1840 BALTIMORE " 64 OUNCES ". 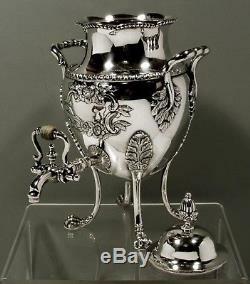 Warner silver lion foot hot water urn. First listed in Baltimore 1805. Captain in the War 1812. 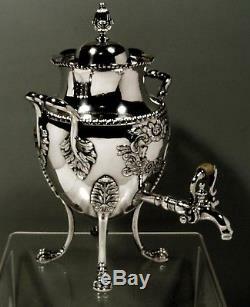 Examples in major museum collections, including the Winterthur, Smithsonian. Museum Fine Arts and more. Raised egg shape with French Empire inspoired egg and dart shoulder. Raised leaf, flower and vine framed shield with period engraved "Ulman" for. 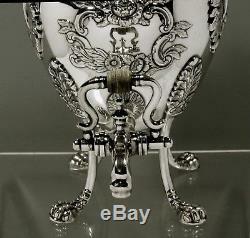 The detachable cover retains the original pomegranate finial. Egg center wavy stem satin chased leaf terminal handles. Original barrel center twin vine cap spikot with urn and bell center. Long slender feathered acanthus cap hairy ankle paw and claw feet. 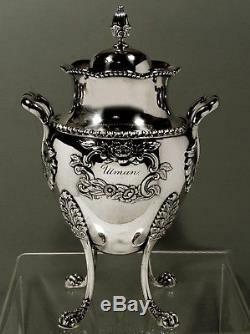 Warner silver lion paw hot water urn. Is 12 3/4 inches and weighs 64 standard ounces. Handle with original heat stop to center. With even the tiniest parts from endangered species. 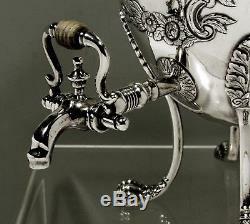 Warner Silver Kettle TEA SET c1840 BALTIMORE 64 OUNCES" is in sale since Sunday, July 29, 2018. 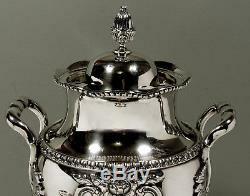 This item is in the category "Antiques\Silver\Coin Silver (. 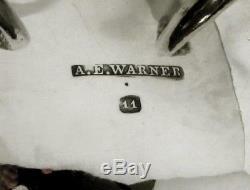 The seller is "runwithme" and is located in Worcester, Massachusetts.